I’m pleased to welcome author G D Sheppard today. 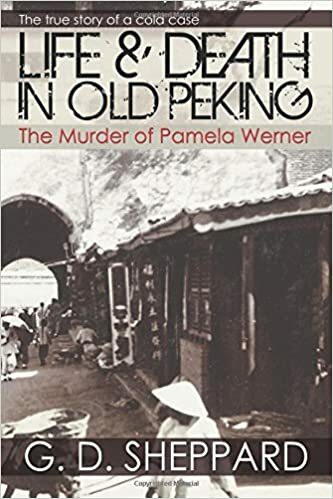 His book, Life & Death in Old Peking, looks at the fascinating true story of the gruesome murder of British woman Pamela Warner in Peking in 1937. In this guest post, he explains why he was intrigued by the case and how he went about his research. You’ll find buying links at the end of the post. As a police officer it can be difficult to switch off from work. You can’t stop seeing the world through police eyes. And that was very much the case when I was lent a book to read a few years ago. The subject was the brutal unsolved murder of Pamela Werner, a young British woman in Peking in the winter of 1937. Pamela had been cycling home in the dark from a skating rink. She never made it home. Her body was found the next morning in a shallow ditch under the shadow of the city-wall. She had been mutilated beyond recognition and, most mysteriously, her heart stolen. The crime terrified the large community of Western foreigners living in Peking. But the case frustrated the police and remained unsolved. The recent account I read now pointed to the guilt of several local residents – as revealed by the preserved investigative letters of the victim’s elderly father. But I wasn’t convinced. Not at all. From a policing perspective, the evidence didn’t add up. Something, I realised, was very wrong. So I visited the UK National Archives in Kew and examined the father’s letters myself – some 150 typed pages addressed to the Foreign Office in the late 1930s. And I found that my instinct had been correct. But in addition to that I saw immediately that there was far more to the case than had been revealed. I delved further, spending two years studying the evidence provided by documents and archives from across the world – from the USA to Australia, from China to Italy: letters about the murder between diplomats; articles in the local press; military propaganda; secret reports of espionage and political assassination. There was so much more to the crime than had ever been made public. I also found the list of suspects growing: doctors, journalists, diplomats, soldiers. And there throughout, bringing his influence to the case, was the enigmatic and controversial figure of Sir Edmund Backhouse – one of the greatest fraudsters of the 20th century. Having gathered a wealth of evidence I then felt compelled to write of the affair, explaining not only the facts behind the crime itself, but also the extraordinary lives of those involved, and of a way of life in a China that was soon to disappear with the advent of war and the triumph of Mao’s communism. 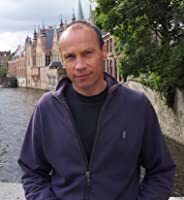 Leaving the Metropolitan police after thirty years I was finally free of restraints to twin that professional experience with a fervent interest in modern history: Life and Death in Old Peking; the Murder of Pamela Werner is the result. Eighty years after the murder, the book explores every evidential avenue, examines all the suspects, and brings the reader to the door of the guilty. Peking in 1937 was a fascinating time and place, one worth the study, and it provides a tale very much worth the telling. The brutal murder of Pamela Werner sent shockwaves through the streets of pre-communist Peking in 1937. Outraging the population inside the walled capital, the killing baffled the local police, becoming one of the most mysterious unsolved crimes in the history of modern China. But while investigations have returned to the cold case over the years in an attempt to provide new insight into the perplexing killing, none have come close to joining the pieces of the infamous crime, until now. With renewed interest in the murder stemming from the discovery of new evidence, Life and Death in Old Peking uses a range of primary sources to delve into the historical context of early 20th century China to dissect the many facets of the crime itself. Scrutinising the named suspects, analysing potential political motives and implementing newly discovered evidence gathered from the British Embassy, Life and Death in Old Peking uncovers the untold story of not only Pamela but also the lives of the many foreigners living in a war-torn China that have all but been forgotten. Bringing a new perspective to the cold case, G.D. Sheppard draws upon decades of material to offer long-awaited answers to a murder that still has the capacity to disturb.